CirrusOne is a technology consultancy that develops and implements enterprise software solutions for its clients. After Hazen rebranded the company, we redesigned the web site to tell a more focused story through clear text and a mix of photography and bold graphic imagery derived from the visual language of the new logo. 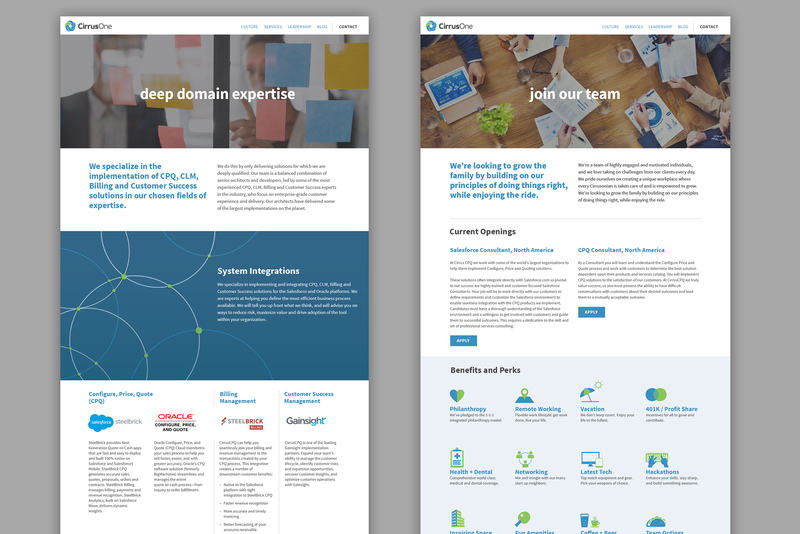 We also developed a large set of icons for web and print—all flat simplified shapes in blue and green to match the logo.